Fourth quarter is almost upon us – can you believe it? The end of the calendar year always seems to sneak up and take us all by surprise. It is a whirlwind of planning – planning for parties, planning schedules, planning gifts, planning work, planning vacation, everything is planned! For Affiliate Marketers, this time of year can be pretty stressful because is it the most profitable season. That means, all your ducks need to be in a row! 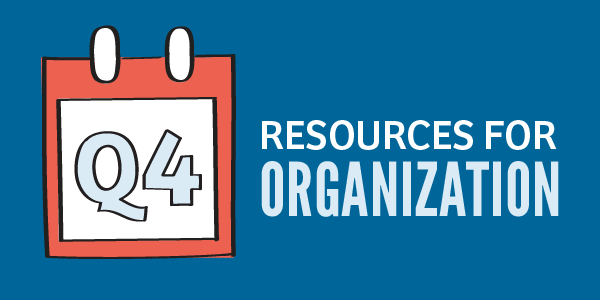 It is crucial to be fully prepared for the fourth quarter and being organized is half the battle. We’ve got some organizational resources & tips to make sure that your Q4 is not only profitable, but also enjoyable! Every successful blogger has some sort of scheduler, planner or somewhere that they write down a plan of action for the next week, month or quarter. Even just a spot for ideas or topics is helpful. At the very least, bloggers are aware of holidays. The fourth quarter gets really hectic and crazy between all the holiday parties, the ramp up for Black Friday/Cyber Monday and just life’s general busyness. No one ever complained about being TOO organized. If you don’t already have an online organizational system for dates, ideas, brainstorming sessions, then look no further! We got some online tools for you. Plan, Research, Publish, Share…. Shareist is the latest tool to help you manage in an age where you sit at the nexus of incoming and outgoing streams of information. 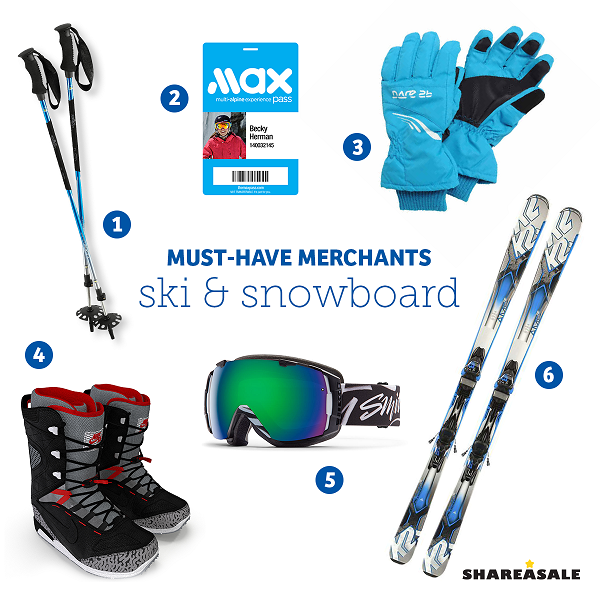 Join the Shareist Affiliate Program! Marketing and Content Calendar for Blogging, Marketing + Social Media. CoSchedule is the best way to plan your marketing and save a ton of time. Trusted by more than 10,000 bloggers, editors, and social marketers world-wide. Capture what’s on your mind. | Collect, nurture, and share ideas across desktop and mobile platforms with Evernote. Your thoughts are always with you, always accessible, always in sync. Social Media Management Dashboard – Enhance your social media management with Hootsuite, the leading social media dashboard. 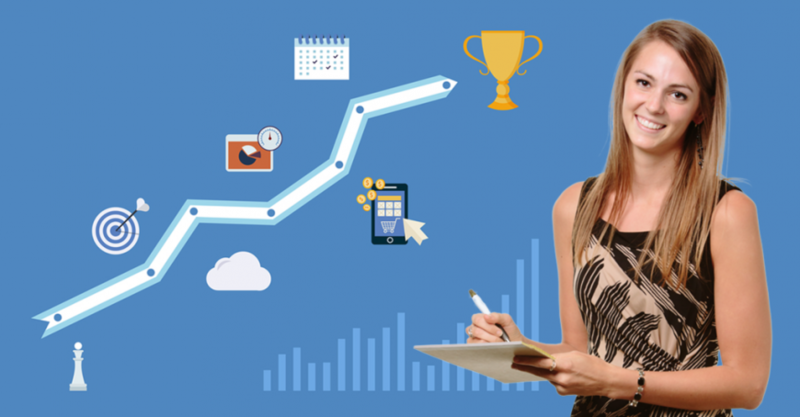 Manage multiple networks and profiles and measure your campaign results. Some people just don’t like online planners or use a combination of both, like yours truly. I don’t know why, but I love being able to physically write things down and better yet is that amazing feeling of satisfaction that you get after crossing it off your to-do list. So for all of you old school planners out there, these are for you! And don’t forget…a new year is coming soon! Have you picked out your 2017 planner yet? Emily Ley is a boutique lifestyle brand that inspires women of all ages to build joy and simplicity into their lives through intentional choices, purposeful plans and playful experiences. Join the Emily Ley Affiliate Program! The Day Planner for Mom. Stay organized on the go with our fabulous, functional File Totes! Join momAgenda’s Affiliate Program. Blogging is hard work and takes a lot of creativity. Let’s be real, sometimes bloggers are fresh out of creativity. Topics and titles are difficult to decide on and so you stare at your blank wordpress page, hoping that something, anything, will come to mind. Don’t just sit there, do something about it! 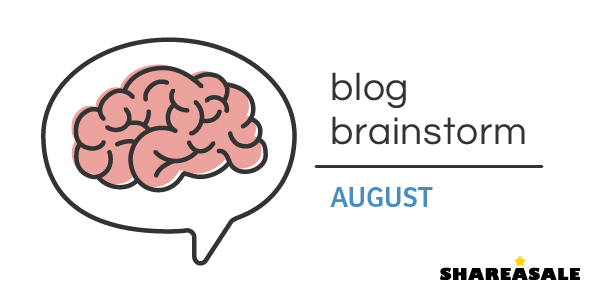 There are TONS of resources to help you brainstorm, give you ideas for a blog post series and get you out of your rut. 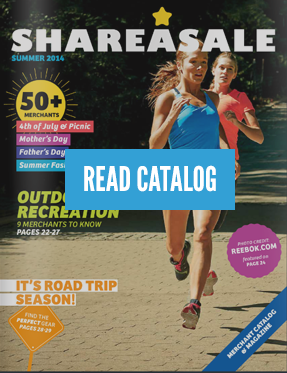 Capture this audience with unique coupons and deals from the ShareASale coupons and deals database within your Affiliate interface. 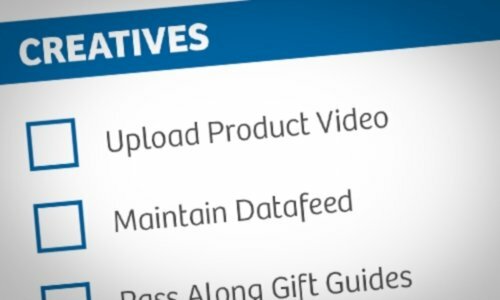 Be sure to also subscribe to the coupons and deals RSS feed to get live deal notifications! Are you stuck in a blogging rut? Here are some ideas to help you beat writers block and stay on top of your posts in August. We hope that this helps you find inspiration to write blog posts, reviews, gift guides of your own, and generally find great Merchants and Retailers to partner with throughout the year. Stay tuned every Monday for a new lineup! 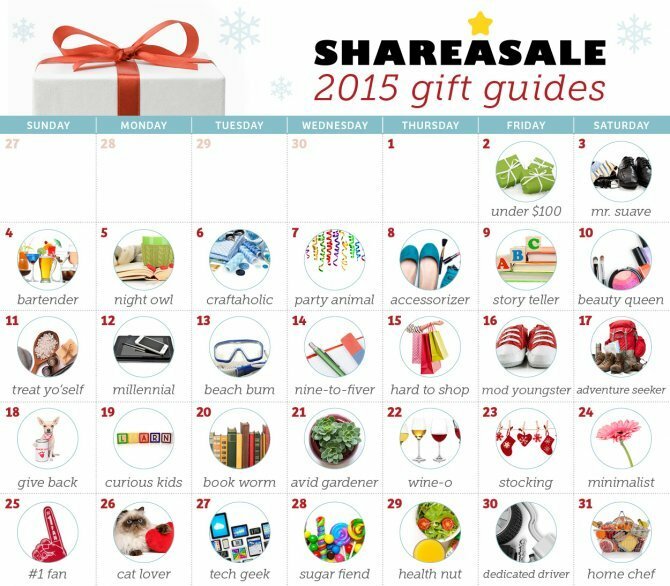 Don’t let Q4 pass by without implementing some gift guides – readers love them! Take time to plan your gift guides asap so that you can truly enjoy and relish the holiday festivities. 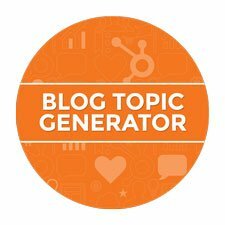 Get oodles of custom blog ideas from @HubSpot’s free Blog Topic Generator. Don’t let yourself get in a rut, instead allow us to help! Organization will definitely help you out in the long run, so find what works for you. Maybe you need a time restriction, a chatting platform for your team or a killer email newsletter provider. Here are some resources to get you started or to get the wheels turning. Enjoy! Send better email. Sell more stuff. 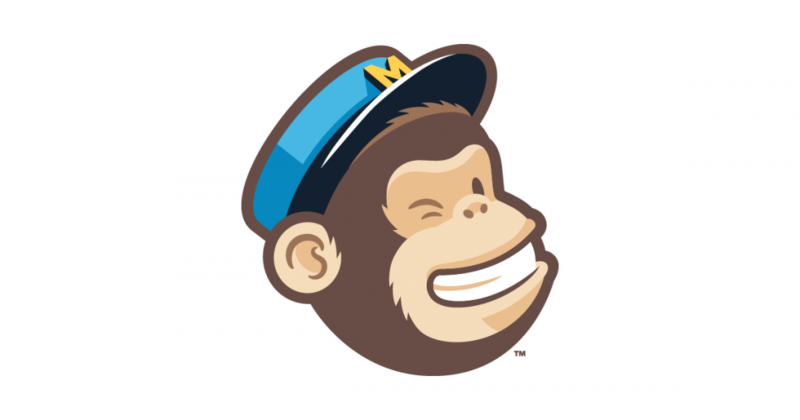 | MailChimp is the best way to design, send, and share email newsletters. Fourth quarter is undoubtedly not only the busiest time of year, but also the most profitable for most Affiliate Marketers. Therefore, you need start planning NOW! Here is a list of things that you can do immediately. If you are like me, there is nothing more satisfying that putting a big exaggerated check mark next to a box on my To-Do list. “Success!” I scream with glee, as I am sure you do too. 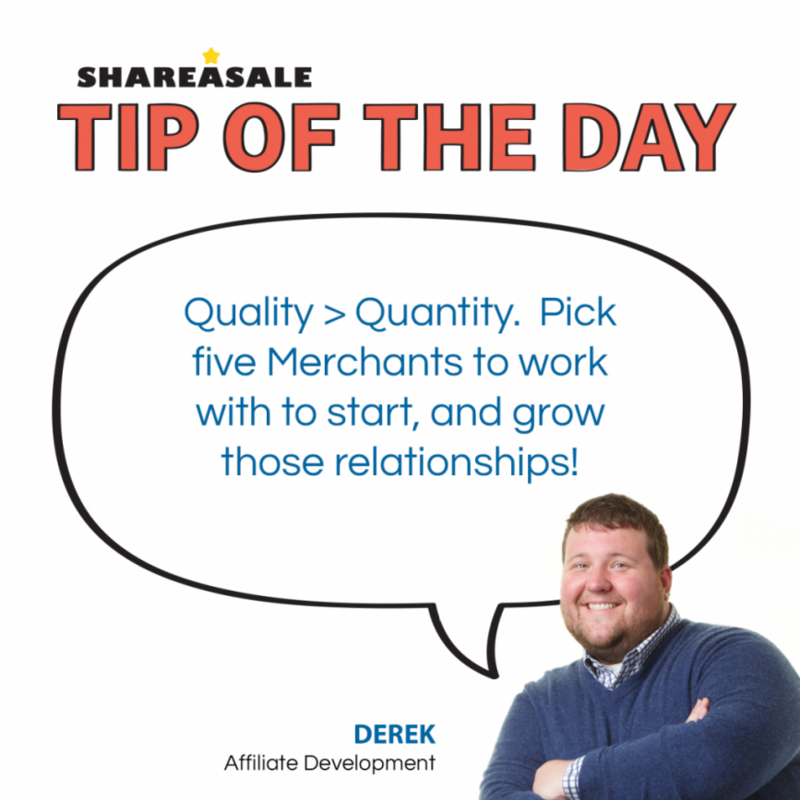 It may be overwhelming as a new Affiliate on ShareASale. Once you begin to browse through the Merchant list you are met with various categories and brand names – some you may be familiar with and some of which you are not.